Worst Knight ever. He even gets Lancelot’s fancy chair and ye gods has anyone deserved it less! Dark One Emma steals Happy’s axe (yes the dwarf Happy). This is probably a bad thing. In modern day Storybrooke, Regina has some of the books they had in Camelot, including the toadstool book with her notes attached. The dwarfs go to complain to David and Mary Margaret with Leeroy/Grumpy angrily expecting them to act as Sherriff and not just Emma’s parents. Parental angst from the Charmings who lament at how useless they are. Really it’s taken David five seasons to realise he’s useless? I came to that conclusion about season two. Arthur also reports that more of his magical items have been broken into and something has been stolen from him along with Excalibur – this time one of the magic realm-crossing beans. 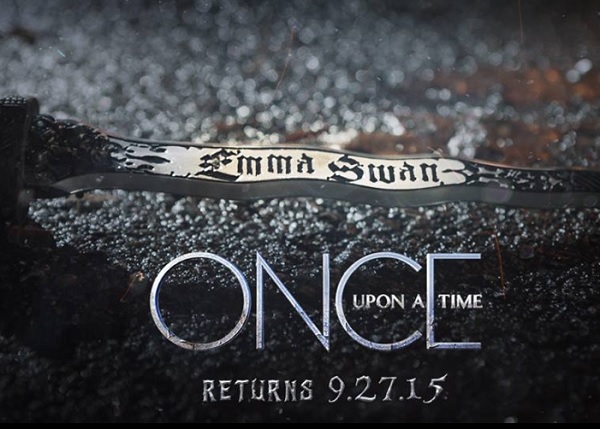 Since the lock was forced they’re pretty sure it isn’t Emma’s doing since why would she force a lock? They go to check Belle’s pawn shop where she’s trying to heal Gold who isn’t doing so well. They do find the bean thief by means of a cup, a lie, jousting with a truck and Arthur magically learning how to drive. It’s the squire who is all bitter about the terrible way he was treated by Arthur – but he didn’t steal the magic bean. But they do find the magic toadstool – but they only have vague memories of it. They take it to Regina who remembers it from the book and that they tried to talk to Merlin with it. Mary Margaret heroicly gazes at David for saving them by stumbling across a random fungus. Her look is so dewey-eyed and sappy it makes me throw up in my mouth a little. David’s smug face is the worst thing ever. The squire is thrown in prison and is all confused because he was just following evil Arthur’s evil orders – and there never was a magic bean at all. It’s all a ploy for Arthur to ingratiate himself with the Charmings because he totally doesn’t trust them since they lied about bringing the Dark One among them. Since they can’t get home, Arthur’s going to make a Neo-Camelot. Step 1 of which involves poisoning his loyal squire so they can’t magic the truth out of him. He doesn’t deceive him – he openly tells him it’s poison he’s drinking and he accepts out of loyalty. Killian and Robin both try to make sense of a sonogram (which is amusing since neither of them have had Storybrook personas so have no idea of the modern world. They really should do more of these scenes.) Robin is all conflicted over being happy over having a child while Killian is concerned about Emma having a secret room in her house she’s all Blue Beard about before receiving an invitation from her to meet her on his ship. Belle’s flower shows Gold is recovering – but when she runs home she finds Gold is missing. Emma has him – and she manipulated Killian to get his sabre as a missing ingredient to the healing spell (also love that her inner dark one mocks her impractical shoes) – and here I thought she was genuinely hurt by Killian. She heals Gold and he wakes up – terrified of the new Dark One. He’s a blank slate – a slate she intends to make into a hero who can draw Excalibur. I can see Robin having conflict over Regina and Zelena and his baby – but I wish at least some of that conflict could come with an acknowledgment that he was raped and this is also a source of conflict and pain. Just one tiny acknowledgement! I like Arthur a lot more than David because he has flaws and admits to them – I like the whole “I need a two ton table to remind me to be humble” line. He acknowledges he isn’t perfect. What is annoying is that David is the one gently poking his imperfections in a way that makes David look all good in comparison – especially after a season where he and Mary Margaret not only SACRFICED A BABY (never ever will I be over this!) but then spent most of the season justifying it and forgiving themselves and claiming the mantle of hero. They could use some of Arthur’s self-reflection. Don’t get me wrong, I did like the reflection on legacies and how both Arthur and David are famous for doing so very little – but if we’re going to acknowledge the lack of heroics in David’s claim to be a hero couldn’t that come with some reflection on his own arrogance, assumption of leadership and assumption of inherent moral rightness that have been the Charming hallmarks? Or how about that acknowledgement of him achieving virtually nothing not come with him being considered the bestest if the Knights of the Round table. Did they just forget everything he just said about being an utter failure? Another interesting self-reflection – Killian and his idea that Rumplestiltskin was actually the good one and him the villain when they fought. While I can appreciate Killian recognising his own path to redemption, let’s not forget that Rumplestiltskin was “holding his family together” by violently holding on to a wife who no longer wanted to be with him – that’s not the act of a good guy no matter what “family” is preserved. Arthur also kind of has a point – smuggling the Dark One into a kingdom is pretty not cool. Ms. Manners would not approve - you should definitely bring a bottle or fruit basket, not evil uncontrolled dark sorcerers. It’s a nuanced villain – one who pretty much is a good guy only caught up in the selfish machinations of the protagonists.